Pat, these are stunning images. Amazing. So rich in color. Very nice. Funny how these little side trips pay off! I love the lead shot. Your subjects always seem so relaxed and natural. That is your gift! Beautiful photos and birds. I agree that they look very relaxed with their bills tucked into their feathers - but it certainly doesn't make it easy to count and ID a large mixed lock of waders! 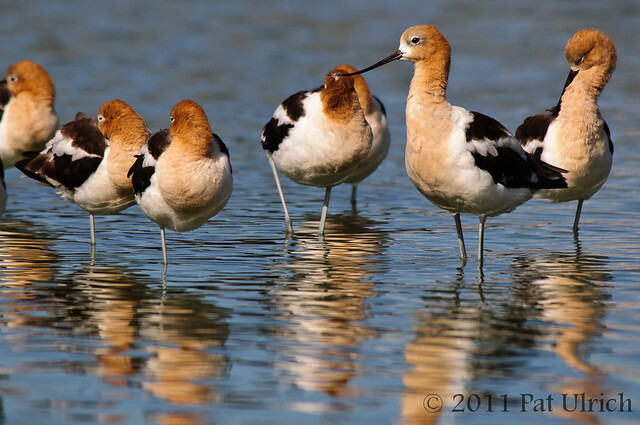 They are beautiful birds and photos. Well done! 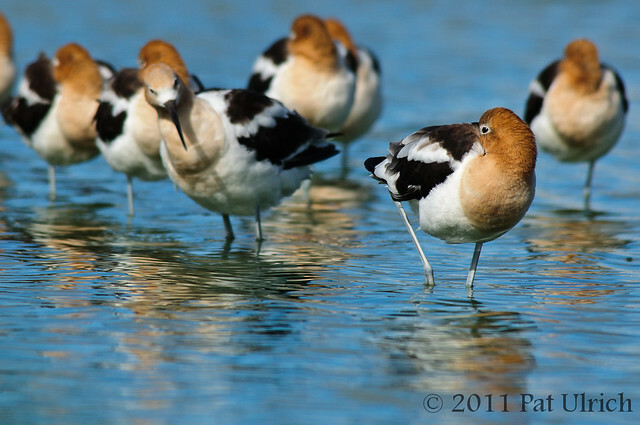 Lovely captures Pat of this beautiful species with the shimmering reflections in their relaxed poses. Lovely shots of these beautiful birds. I love the dormitory shots. Great shots Pat!! Boom & Gary of the Vermilon River, Canada. You were lucky with your side-trip, Pat! 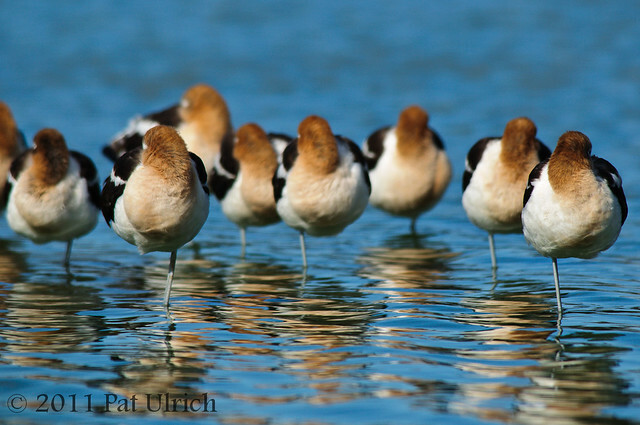 Terrific assembly of Avocets! It looks like it pays to take a side trip now and then great photos. Wonderful captures of these beautiful birds! I especially like that first shot - really a winner! Stunning color in your images! !